Any improvement over PS Vita playback? Pre-launch, PS4's Remote Play feature looked like a genuine game-changer, offering off-screen gameplay that would allow you to take your PS4 library anywhere in the home - as long as you had the required PS Vita hardware. In the wake of unofficial hacks, it's now possible to enjoy this benefit on PC or Mac with the release of PS4's latest 3.50 firmware - but the question is, just how good is the support? And can it improve upon a lacklustre showing on Vita devices? Alongside PS4's latest system software update, Sony has released a small application available for download here on its website, enabling your computer to interface with your console. Simply login to your PlayStation account, connect a Dual Shock 4 over USB and you're ready to go. The Remote Play application offers the same feature-set available on PS Vita, including 360p, 540p and 720p resolution settings along with 30fps and 60fps frame-rates. That being the case, 720p60 is the top-end experience available. If this all sounds on par with the Vita offering, that's because what we are looking at here is essentially a no-frills port of the existing streaming functionality - meaning we're looking at many of the same limitations. It's serviceable enough, but not quite where it needs to be in terms of latency and image quality, and not a patch on the same experience offered by Steam's in-home streaming. We heard you like video so we made a video of your video and came up with this comparison highlighting the positives and negatives when using PlayStation 4 streaming. If the video stream's bitrate were high enough, the 720p limitation wouldn't be a serious issue but as it stands, macroblocking and other artefacts are evident in most games. Fine details, such as film grain or high quality texture work, are compromised while colour gradients suffer from noticeable banding. 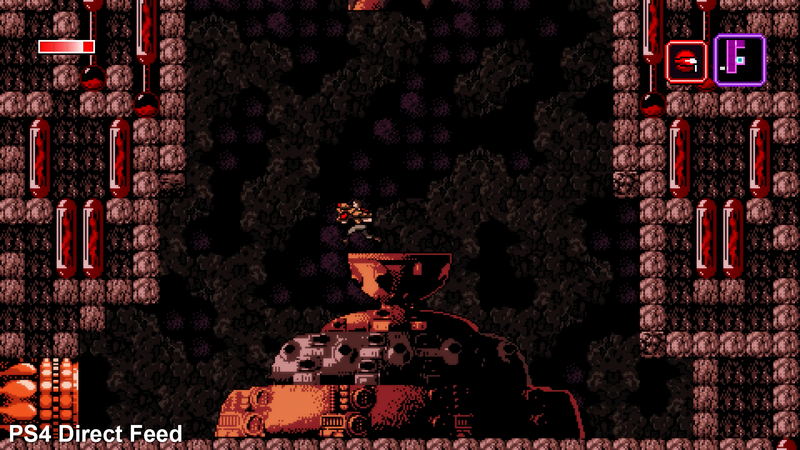 On the PS Vita, the screen was small enough that while noticeable, it became possible to overlook the poor video quality but when played on a larger PC monitor, it's difficult to ignore. This is one feature best enjoyed on a smaller laptop screen. 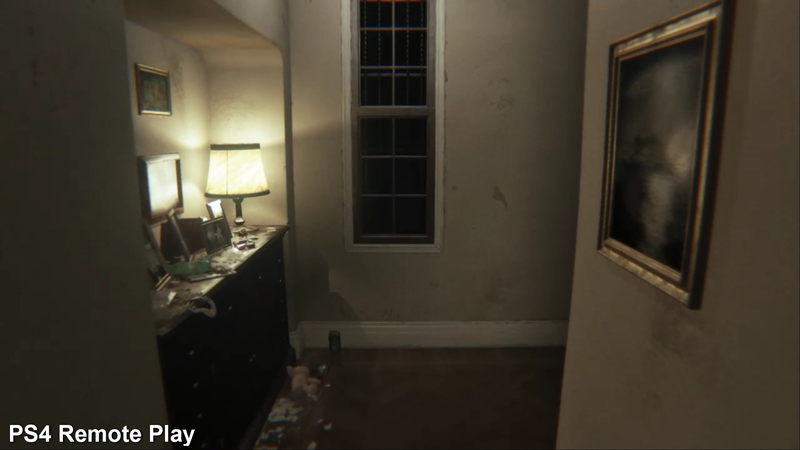 Alongside noticeable video artefacts it's also clear that color accuracy takes a hit when using the streaming feature. Bright colours lose vibrancy while darker hues lack the subtly one would expect. The transition between light and shadow often results in large, purple macro blocks that can spoil the resulting image. 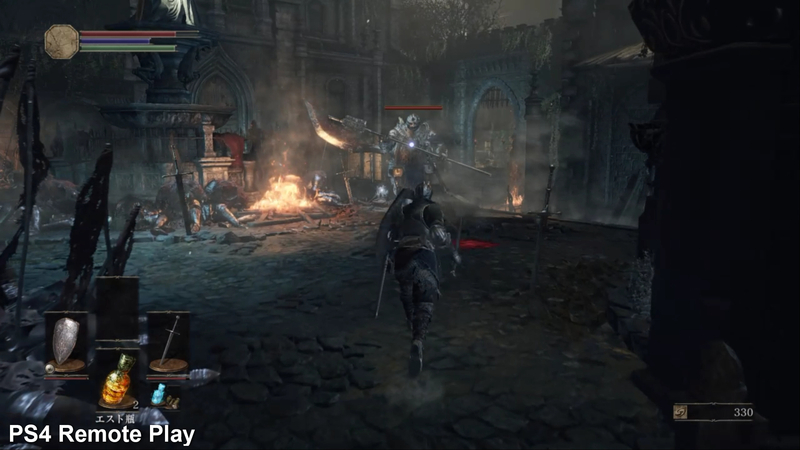 In comparison to the direct feed output of the PlayStation 4, the resulting stream is muted and blurry. While we would never expect results to mirror what you get with a direct connection, we have seen significantly higher quality examples of in-home streaming elsewhere. In terms of performance, we actually see some noticeable improvements. While the playback isn't always perfect, it's possible to achieve a fairly steady, consistent update rate in many titles. Games such as Trackmania Turbo play back beautifully using this feature with only occasional hitches interrupting the fluidity of the experience. However, we also noted that games flooding the screen with rapidly changing imagery, such as a particularly active 2D pixel art game, tend to suffer the most from slowdown but many games play just fine. 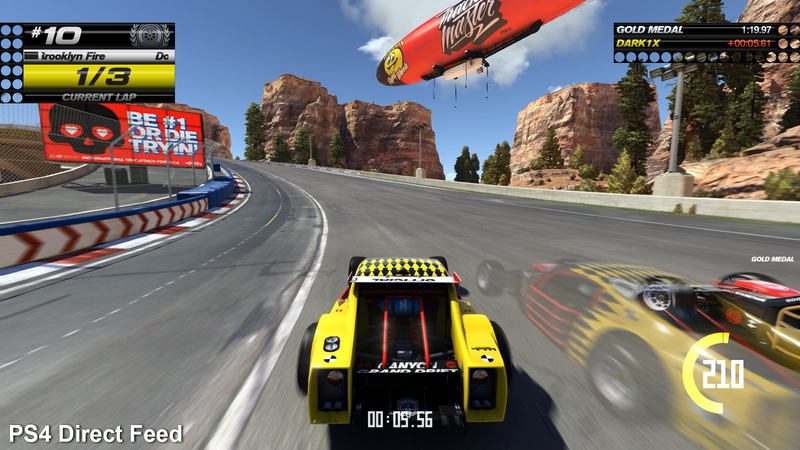 Trackmania Turbo's bright colours lose vibrancy and clarity in the stream. Even the motion blur loses its fine grain appearance as detail is sapped away by the low bitrate. The dark and foreboding hallway of PT loses its film grain and much of the finer details when using Remote Play. Games with lots of high frequency detail, such as Dark Souls 3 here, appear significantly blurrier while using Remote Play. Texture detail is eliminated and fine patterns become almost invisible. 2D pixel art games, such as Axiom Verge, actually look OK in streaming form but the sharp pixel edges are replaced with obvious blur. Keep in mind that our tests were conducted using an entirely wired network with the PS4 and PC connected to the same router. Using WiFi or an even slower wired network could very likely result in more noticeable motion artefacts. We certainly had difficulty reaching the same level of performance using a PS Vita, for instance, which could be due to the poor wireless antenna in the original model. So in this sense, you may feel as though you're getting better performance. The 100ms latency is pretty much identical to the experience playing with a completely wired connection using PlayStation TV. Perhaps the most important question here is one of input latency, and once again, the situation is unchanged from PS Vita. We were hoping to see some improvement here but after using a high-speed camera to measure response, we've determined that the same six-frame (100ms) delay we encountered on Vita persists here on the PC. When coupled with the additional frame delay present in many displays, we're looking at a pretty significant lag to controller response. Games are not unplayable by any means but you will feel the difference. If you play competitive games, such as Street Fighter 5, you may struggle to perform at your best under these conditions. So that's really where we're at then - Remote Play on the PC is a translation of what was available on PS Vita already, nothing added, nothing taken away. It's the 100ms latency that remains our biggest bugbear - but it seems we can now confirm that this problem is derived from the PS4 itself, as opposed to the client hardware we're streaming to. Assuming the mooted PS4K mid-gen revision does feature the latest media encode/decode blocks from AMD (they should be part and parcel of the 4K movie support we expect to be part of the platform), there's a good chance that this area of the architecture could be optimised, but in the here and now, Remote Play remains a cute feature that's very useful in some scenarios, but not quite the killer app we always hoped it would be.